So the USP. 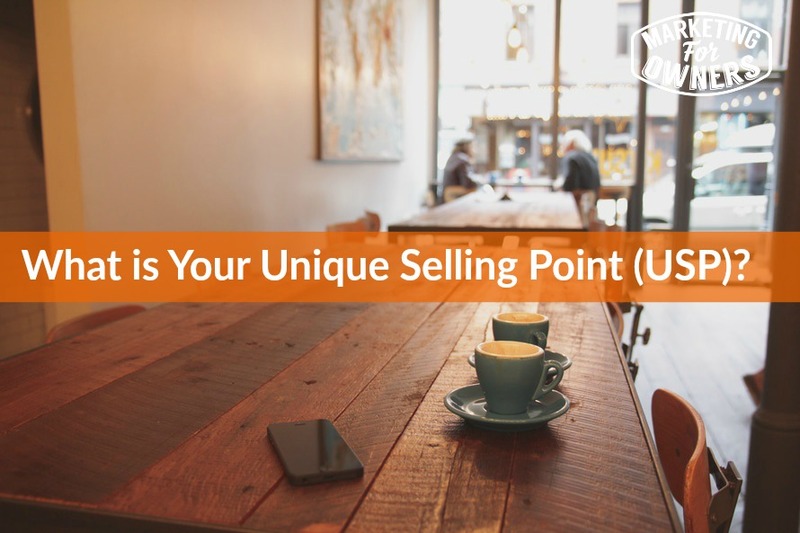 Your unique selling proposition. There are many other terms for this but you need one. And very simply, it needs to be unique. What I’ve been talking about a lot recently is that the customers, or your potential customers don’t care about you. They are not interested in your opinion. So this unique selling proposition has to be something that is of benefit. Of a benefit to the potential customer, or to the customer. What that means is for instance anything that starts with ‘We are’ is a no no. That is not a USP. Others are — look at us or we are fantastic. Now stop that for a start. It certainly needs to be very very short. A very short statement and you and every single member of staff needs to know it. So if anyone ever asks, what do you do? Oh I work for so and so and … That is how it comes out. It will explain your reason for existence, I think. So it is not going to be the largest, the best, the UK’s biggest etc.. Not actually sure what amazon’s USP is at the moment. It may change overtime, as you sort of slightly change your goals over the years. But it is not something that’s going to change every month or every week. Overtime means over a couple of years or so on. But amazon obviously wants to be the world’s biggest store, but then you got Walmart and so on. So they can’t compete on that. Needs something unique. And what I recommend is that you look deep into this because when I am thinking of your business, and what you do, there are many other choices for me. You are not unique. Okay. In my mind you are just another whatever. So if you take cars, you’ve got a Ford, General Motors, you’ve got Volkswagen, Fiat, Renault, Volvo, all of these. All of these different type of cars. They all position themselves carefully. It’s not just look at all those, what’s the cheapest, or if you are rich, look at all those, what’s the most expensive. It’s not like that. They have to appeal to target market. They have to define that target market, who their customers are and what the benefit is to that customer in a quick sentence, in a quick aura. So remember if you are selling something, because you may be thinking, like in my business, I sell fire extinguishers, fire safety and so on. This is something that people don’t really care about. It’s an industrial supply. It’s a grudge by. People are forced to buy it by authorities. And they have to have it for regulations. It is surprisingly not bought because people want to keep themselves safe from fire. In a lot of cases, it is, but the vast majority of our customers are businesses who are buying these, or buying more of them because they have to buy it for regulation. So there are things they may buy, but there are extra bits they have to have that they wouldn’t have thought of as something they have to have. So when they look online, if you just take a fire extinguisher, in the UK, they are red. If you are not really interested, don’t know much about them, you look at ours, you look at the next page, they are both red, they both look exactly the same. They are probably different. There are probably some new ones say that I can tell because I know the industry, because you as a customer don’t really care. To you it is just a commodity. I is just a fire extinguisher, one maybe made in China, the next one maybe made by Craftsmen handmade in the UK. And it take 10 hours, you don’t care because that one is cheaper. And it looks the same, and you look down and it appears to have the approval. You are not going to look into whether that’s a genuine approval, or whether that is really approved or whether they are just saying, it complies with approval, we haven’t got certification. All that kind of stuff. So it’s a commodity. It is just another one. So they all find their little niche. And I recommend, when you’ve got a commodity, you find something that makes it sound more interesting, and unique. Or you develop a niche. So for instance you might have fire safety for, fire safety for offices. May be your specialty if that, and you go for high rise. A friend of mine runs a tall buildings. He consults with tall buildings, you know skyscrapers and so on. And that is his niche. He’s a fire consultant, fire safety consultant, and that is what he does. He flies around the world, he puts on exhibitions, all based on tall buildings. Everybody knows that what he does. But claim that so niche down. So if you sell a general product, cleaning products, don’t just sell cleaning products. Sell cleaning products for hair salons. Just find something unique and make it yours. But then, when you look at it, make sure it relates to the client. So put yourself in their shows, look at it from the other point of view, and it must be from their point of view. What I recommend is because lots of people in the marketing studied USPs. So google the best USPs. So worldwide USP, big brand USPs. And see how they word them and then think, oh yeah I get that. Oh we do something like that. Don’t copy another, but get an idea of the styles. This is important. Really important and that will be in your marketing on your business card and everything. It is not the logo. Don’t waste your money on expensive logo. That’s USP that tells people is more interesting to them. Okay. It is a Monday. Time for a Book for the Week. 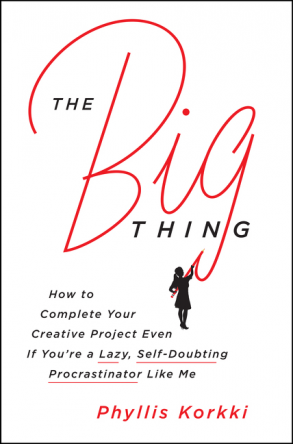 Now this one pretty much says what it does on the book cover, it is called The Big Thing. It’s by Phyllis Korkki. It is good, it is extremely well written but what she’s doing is her big thing was writing the book. And so she talks through that. But most of us have come up with a major product, project. Whether it’s in our private lives, our work lives, in our business or something. Something a massive hurdle, obstacle. This she shows you how to get through. It’s a good book. I recommend. It’s very new. Go read it. Tell me what you think. I’ll be back with you with another tip tomorrow.